Oxelar themes has been purchased 25, rating: 4/5 based on 4 reviews. If you are having difficulty choosing the most suitable and perfect theme for your Shopify store, we suggest Oxelar is a wise choice. It possesses tons of powerful modules like Mega Menu, Blog, SEO, Revolution Slider, Slideshow, Ajax Search, etc. Besides that, it suits every store like fashion, bags, furniture, apparel, electronics, accessories, sports, etc and meets on every different device. In particular, Oxelar Shopify theme has a flexible admin panel system that allows you to manage your online shop efficiently. 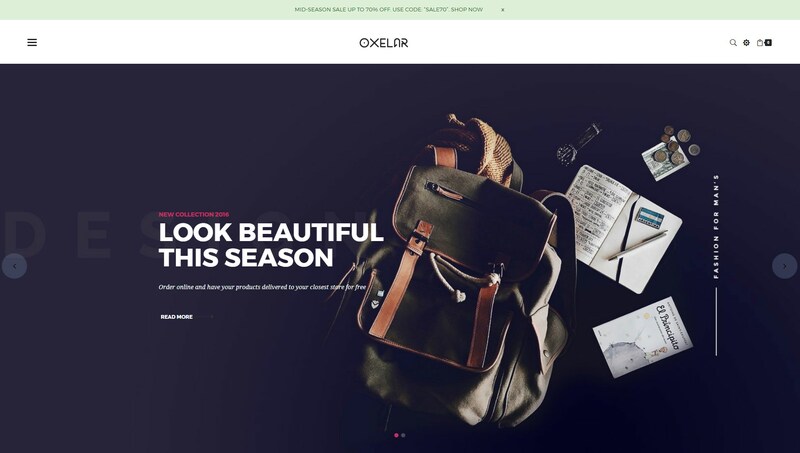 Experience the Oxelar Shopify theme now!